WPD designed the landscape for a proposed new apartment building in Ithaca, NY. 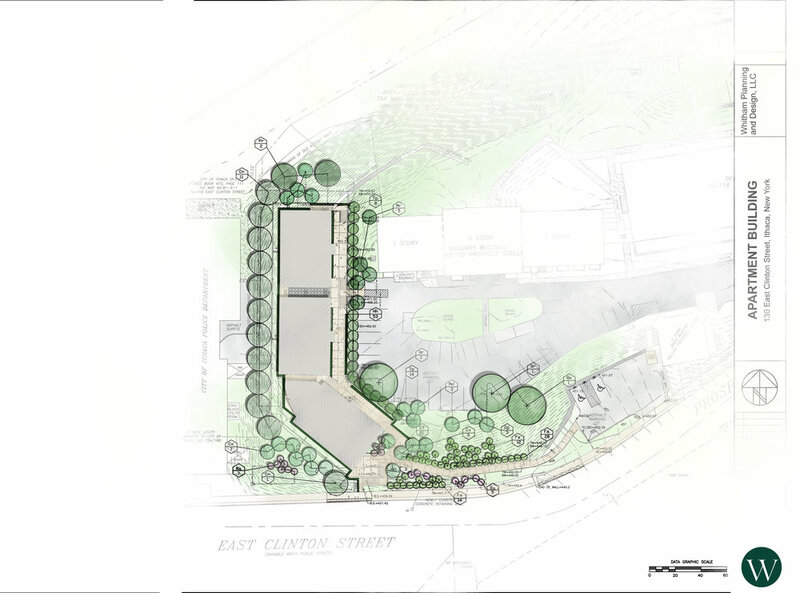 The landscape design called for a variety of open space areas that would serve 36 new residences while responding to site topography and adjacent Six Mile Creek nature preserve. WPD worked with T.G. Miller Engineers and Surveyors on this project.